The boxed chrome tissue dispenser will easily coordinate with existing bathroom accessories and fixtures. 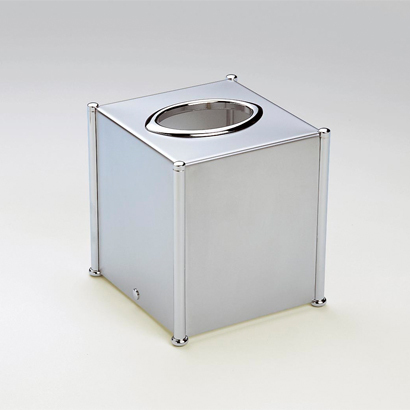 Designed by Windisch, this tissue box holder is square in shape, and features chrome finish details giving it a unique and multidimensional feel. The smooth oval opening makes pulling a tissue a breeze.